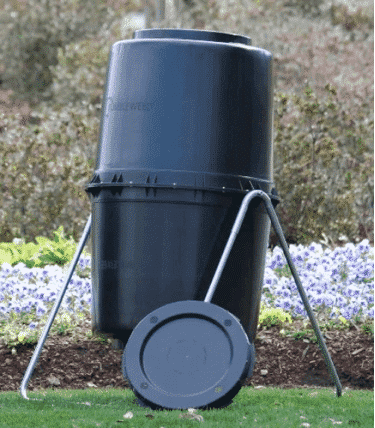 Tumbleweed 58 Gallon Compost Tumbler Review: Should You Buy It? If you are looking for a medium sized, lightweight tumbler compost bin, then the Tumbleweed 58 Gallon may be right for you. Easy to use and simple in design, this is all you really need. A lot of people like compost tumblers, because it means you don’t have to have the physical strength to manually turn the pile. Many people also never seem to get around turning their compost over, with too many other things needing to get done. 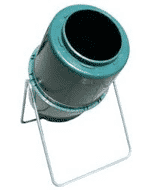 All tumbler composters are based on the idea that you can easily aerate and turn your compost, every few days or so. Doing so helps to speed up the decomposition. The result is that you have excellent compost in much less time. This product is popular due to its simplistic design. You simply turn or tumble the unit using the rotating rod that runs through the bin’s center. Inside, there is an aeration bar that helps the materials inside to break up and to get exposed to more air. As an added benefit, the bin itself is very easy to assemble because it only has a few parts. It is not uncommon for people to actually purchase more than one Tumbleweed, because they find that they are able to produce compost more quickly than they can use it. This is actually quite easily done because it is compact and does not take up too much space. Plus, having two means that there is always enough material available for composting in at least one of them. Some moisture escapes through air vents when turning. The Tumbleweed stands out because it is made out of 100% recycled plastic. It is black, which attracts heat, thereby speeding up the composting process. It can be assembled in less than 15 minutes, comes with two rodent proof twist lock lids, and has a 58 gallon capacity, which equates to seven to eight cubic feet. The bin stands at 46” in height and 26” wide, giving it a depth of 34”. It weighs just 22lbs, despite a solid stainless steel axis. The strength of the axis means that composting is made quick and easy. All yard and kitchen waste can be put to work by simply spinning the composter once every other day. Without a chemical starter, you could have compost ready in just 21 days. The bin is fitted on galvanized, sturdy, tubular steel legs, which are completely rust free. While made from metal, between 17% and 20% is recycled. It is for good reason that this one is hailed by many as the best possible composter out there, because it is so easy to get started very quickly. All you have to do is put compostable materials inside, spin it, and use your compost after 21 days. With its two twist lock lids, you can have this composter in any garden without worrying about squirrels, badgers, and other such rodents getting into your compost. Very easy to use. It is designed specifically so those who are quite new to the world of composting can easily get started. It takes just 15 minutes to set the bin up. It is really lightweight as well, so you can easily move it around until you find the best place to put it in your garden. It is a compact composter, which means that you are likely to have space for two. It creates perfect compost within just 21 days, particularly if you use the 75% dry – 25% moist formulation and rotate it daily. There have been some reports of people finding it difficult to turn it, particularly once it starts to get full. The vents are not very well placed, which means moisture sometimes escapes from them when you turn it. Because it is made of 100% plastic, this tumbler will not last a lifetime. Is The Tumbleweed Composter Right For Me? People who are too busy, or not strong enough, to manually turn their compost regularly. People who are environmentally conscious and want to have not just homemade compost, but use eco-friendly products as well. People who create a lot of fresh and garden waste but don’t use a lot of compost, as you will find that the bin fills up quite quickly. Those who have difficulty moving heavier objects, particularly once the bin starts to get full. By composting, you ensure that your garden plants are healthy. Furthermore, you help protect the planet by reusing your own refuse, rather than simply throwing it away so that it gets to a landfill site. Unfortunately, compost has a tendency to smell quite badly as the produce decomposes and this is often cited as the number one reason for people to either not compost, or to not turn it regularly. Thanks to the Tumbleweed, this is no longer a problem. The compost is safely contained within the bin and can simply be turned whenever you pass it, without everything smelling of decomposing organic materials. The added benefit is that it is made of 100% recycled plastic, which means you are doing your bit for the environment even more. With that being said, I fully recommend the Tumbleweed to those who are considering making their own compost with minimal hassle at an affordable price. 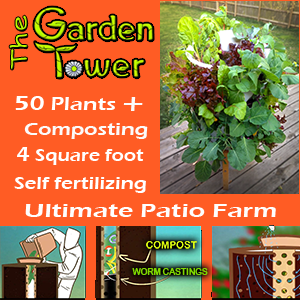 C﻿lick here to check out other compost bins and tumblers.